Hardly anyone will leave out denim when it comes to counting wardrobe staples. 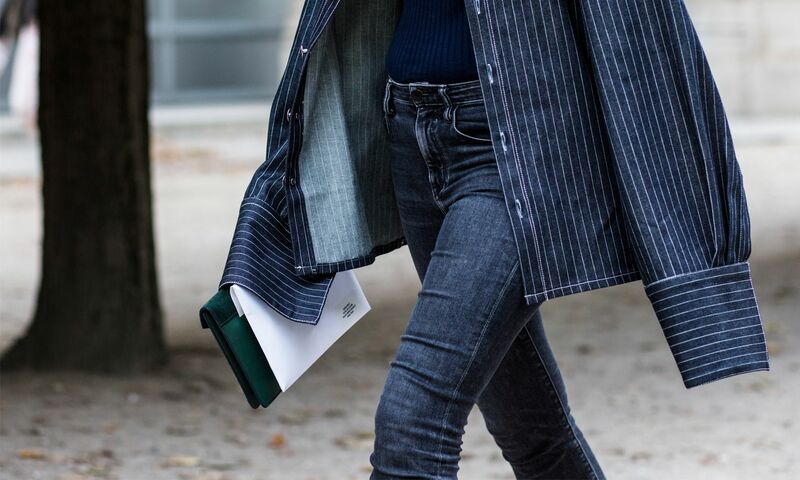 Sure, you have your trendy options—Vetements, Off-White and Y/Project make a great case for statement denim—but a trusty pair of classics (think skinny black jeans or high-waist raw denim) are equally important. With headquarters split behind Los Angeles and London, it’s no wonder Frame Denim is taking the world by storm. The brand debuted in 2012 and has been a favourite for many models (let’s face it, their off-duty looks are equally noteworthy as their looks on the catwalk). The brand has been expanding offerings from casual denim basics to other wardrobe essentials such as shirting and leather jackets. Karlie Kloss, Ben Gorham of Byredo and photographers Inez & Vinoodh are just a few names who have partnered with Frame Denim for capsule collections. Tip: Looking for the perfect black skinny jean? Look no further than their Le Skinny De Jeanne. Their Le Crop Mini Boot is also the perfect pair to wear with slip-ons and loafers. 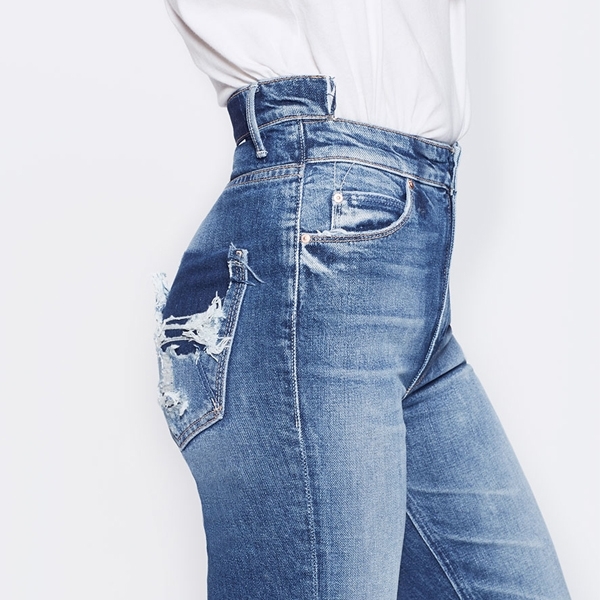 Finding the perfect pair of vintage-styled jeans is like searching for a needle in a haystack, and the founders of Re/Done Sean Barron and Jamie Mazur may have found it. They launched their LA label by repurposing over thousands of pairs of vintage Levi’s, and eventually extended their line to include an ‘Originals’ collection—new designs that are cut and shaped to hug the body just like a pair of well-worn Levi’s. Tip: Their High-Rise Ankle Crop jean is perfect new old-looking jean, if that makes any sense? Let’s face it, no one does rock n’ roll cool quite like Saint Laurent. And the desirable denim is definitely part of the equation. Skinny, distressed and high-waist ones make great everyday jeans, while the low-waist washed out boyfriend-styles (as seen on the debut catwalk of Anthony Vacarello for the house) can make a great pair of evening denim if styled with a killer pair of heels. Tip: Try a pair of their original mid-waist skinny jeans in a light dirty denim and you may never want to take them off. New York label R13 makes the ultimate luxed up grunge styles. For low-waist, tattered jeans with just the right amount of rips, look no further than R13. Vintage band tees, leather jackets and Kurt Cobain plaid shirts sold separately. Tip: Their cropped selvage jean in light blue are what you'll want to live in, all weekend long. Looking for that comfortable pair of off-duty jeans? 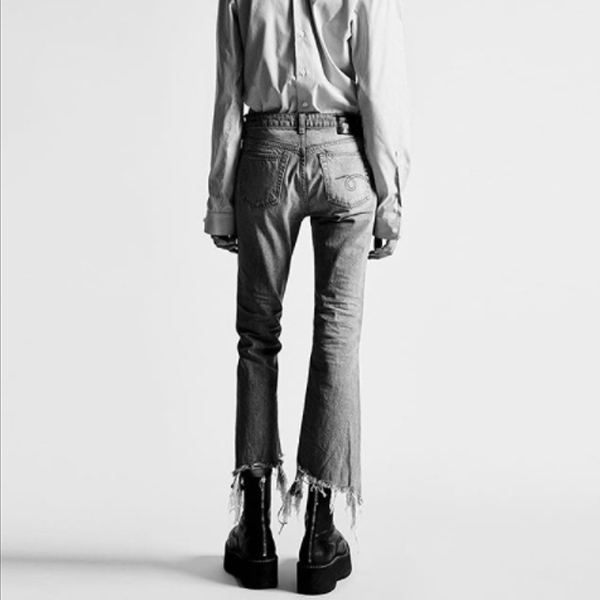 Look no further than Los Angeles label Mother Denim. With cheeky style names such as The Looker (the skinny cigarette leg) and The Runaway (flares), The Insider and The Dazzler Shift, you can’t help but smile when putting these on. Tip: The Dazzler Shift (pictured above) is the perfect combo of distressed details and a well-worn wash.